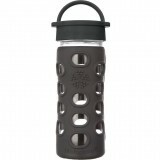 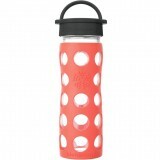 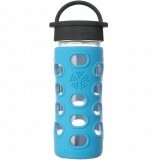 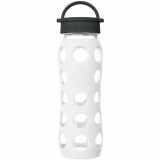 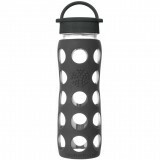 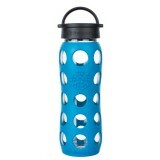 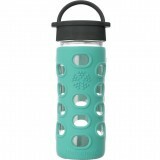 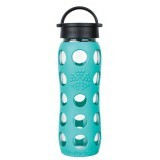 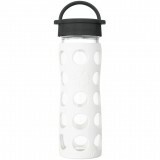 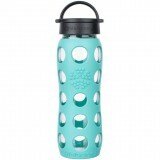 Lifefactory glass water bottles are stylish and functional with a silicone sleeve to protect the glass water bottle. 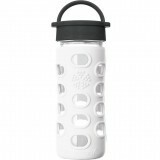 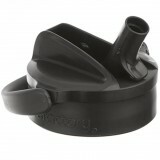 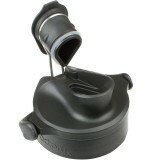 The wide mouth makes for easy cleaning and multi fucioning as a smoothie bottle and adding ice cubes. 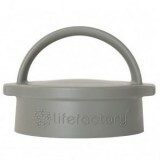 We love the Lifefactory brand who also makes the Weego glass baby bottles.